Kevin continues to stay healthy and make progress on the number of hours he spends off the ventilator. He’s currently up to 19 hours off the ventilator each day. Staying healthy has kept him on track and enabled to get out a bit, which has been great. Last week, he was really thrilled to attend the wedding of his friends Scott and Angela. He looked dapper, as usual, and had a great time. Kevin and the family are really excited for his 30th birthday party – which is just around the corner. We have some really great details to announce here. Emceed by WIP radio host Glen Macnow, the event will feature fun for the whole family and a really impressive list of auction items. The committee planning the event and our wonderful sponsors have done a really amazing job. For a full catalog of auction items, click here (large PDF document). The catalog includes suggested bids and lots of information about the items. Tickets to Philly-area comedy venues, theatres, film festivals, ballet, etc. With so many items, there’s a good chance you’ll walk away with something great. We recommend you get your tickets as soon as you can here! And feel free to invite your friends. As some of you may know, the trial of Christopher Easter will begin on September 10th. We will provide pertinent details when they are available, but as a family we will not have any public comments on the trial until it is over. At this time we continue to focus on Kevin’s progress, keeping him healthy, and his birthday party on September 14th. We appreciate everyone’s support as we move forward. Update and 9/14 event details! The past few weeks have been quiet! Kevin hasn’t had any health complications, which is really the most important thing. He continues to make progress getting off the ventilator — Kevin is now up to 14 hours a day off of the vent with the assistance of the pacing device that he’s able to use as a result of his successful surgery several months ago. He has had a steady stream of visitors as well — if you’d like to stop by, all we ask is that you give a call to the house first (610-485-7270) to make sure Kevin is free. And now, for something completely different – Kevin’s Aunt Denise here, taking a moment to update everyone on the event on September 14. 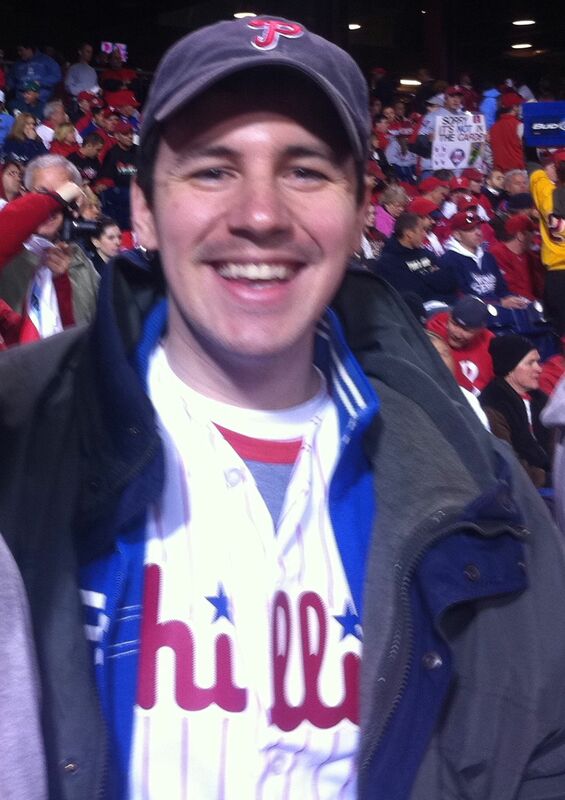 As you know, the Friends of Kevin Neary will host a 30th birthday celebration and fundraiser in his honor on Friday evening, September 14 from 7:00 to 10:00 pm at Citizens Bank Park’s Diamond Club. (Kevin will turn 30 on September 22.) Tickets are available here. The event will be held at the Phillies’ Diamond Club – a panoramic view can be seen here. Parking will be free. WIP SportsRadio personality Glen Macnow will be our master of ceremonies for the evening, and other special guests from the Philadelphia sports world are expected to attend. Some of those guests may or may not be green! First and foremost, the night is to celebrate Kevin’s birthday, and to toast not just that milestone birthday, but his many triumphs over the last several months. Kevin and his family have been overwhelmed by the support of family and friends, and from strangers. The evening is a nice opportunity for us to say thanks. The famous Kevin Neary will be there, in person, to accept birthday greetings! Not everyone can have Major League Baseball and the Philadelphia Phillies let them throw a party at their house….but of course Kevin can! Second, we hope to raise some money for Kevin’s continued care. The silent auction will be a great way to do that, with some very special items. Plan to do your holiday shopping that evening! tickets for four to the December 8 Army-Navy game at the Linc, decked out in Navy goodies. Auction items include: a beautiful condo on the beach in Sea Isle for Irish Weekend, September 21 – 23, 2012; a gorgeous condo in Ocean City the week of September 15, 2013; a lovely condo in Kissimee, Florida (two tickets to Universal included) and a weekend in DC, with hotel, breakfast and tickets to the Spy Museum included. We have Bolt Bus and USAirways vouchers! We have amazing hotel packages in Philadelphia and New Jersey; we have tickets to major Philadelphia professional and college sporting events; to Delaware Valley cultural and entertainment venues; and to some of the best of Philadelphia restaurants. Thinking A to Z? We have Arden Theatre to Yards Brewing Company. Whether you want brunch at Sabrina’s, or prime rib at Union Trust, whether you love comedy clubs or the ballet, want to read a best-selling author or bring in the new year at Dave and Buster’s….and almost everything in between…..there is an auction item for you. And tell your friends….be like Rosie Connors, who is encouraging her friends to be part of FORC (Friends of Rosie Connors). Join us as we cheer the force that is Kevin Neary! And, of course, we want to thank the Phillies organization again! Cash bar? Sad, but true. Children? Welcome to participate; must have a ticket. Credit accepted? We hope to have credit card as an option. Cash and checks will make the checkout process go faster. What does the ticket buy? Free parking, dinner, a fun evening. It is a bargain….dessert is being provided by Cornucopia, and we aren’t being charged to use the Diamond Club. Want to sponsor the event? More gifts? Contact me, nearys51@comcast.net. We would like to put together a program, so that those attending can preview the auction events available. We plan to post an auction catalog to this site in early September.